Philip N. Diehl, who formerly function in the office of Director of the U.S. Mint, has called for an emergency meeting in Austin, TX for later this week to discuss topics such as geo-political events, cyber attacks, and also why Americans citizens should own gold as the world comes upon a new financial crisis. U.S. Money Reserve announced today an Emergency Gold Conference will be held this week at a secure, undisclosed location in Austin, TX. This special, invitation-only event will be led by U.S. Money Reserve President Philip N. Diehl. At the Emergency Gold Conference, Diehl will address issues such as global terrorism, cyber attacks, unstable world leadership, the national debt crisis and the effects of the last financial crisis. In addition to discussing the current state of worldwide uncertainty, Diehl will reveal his new U.S. Gold Report. 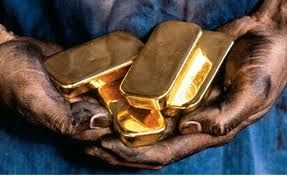 This exclusive report from U.S. Money Reserve will reveal the top reasons for citizens to own gold. Covering both domestic and international issues, Diehl brings his unique experience and authority as a former U.S. Mint director to this timely report. "Many people don't realize that the price of gold is impacted by a variety of issues making headlines every day," said Diehl. "Through this special report, I want to arm people with the best knowledge possible so they can make the best decision possible for themselves and their families."